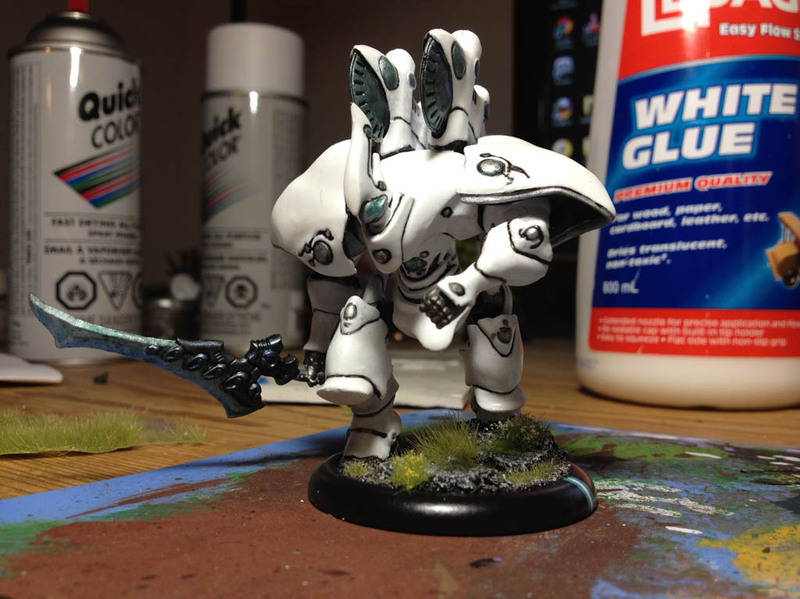 I mentioned previously that someone had asked for a tutorial for how I do my white. I’m afraid there’s not really any magic to it. You just have to be really patient with it and do lots of thin coats. I don’t have a specific ratio for my watering but generally I am using a small brush such as the GW fine detail brush and first load it with water then dip it into the paint. 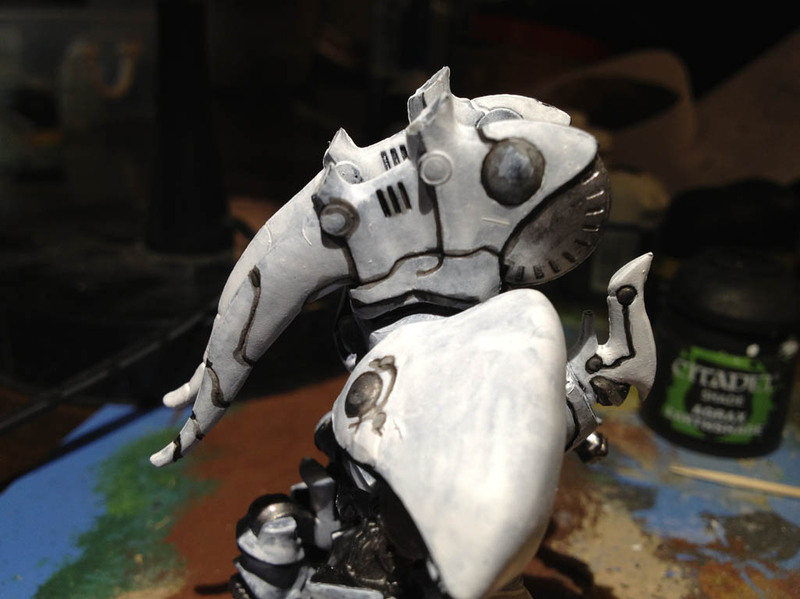 Using this method usually get the paint to the correct consistency to spread evenly. 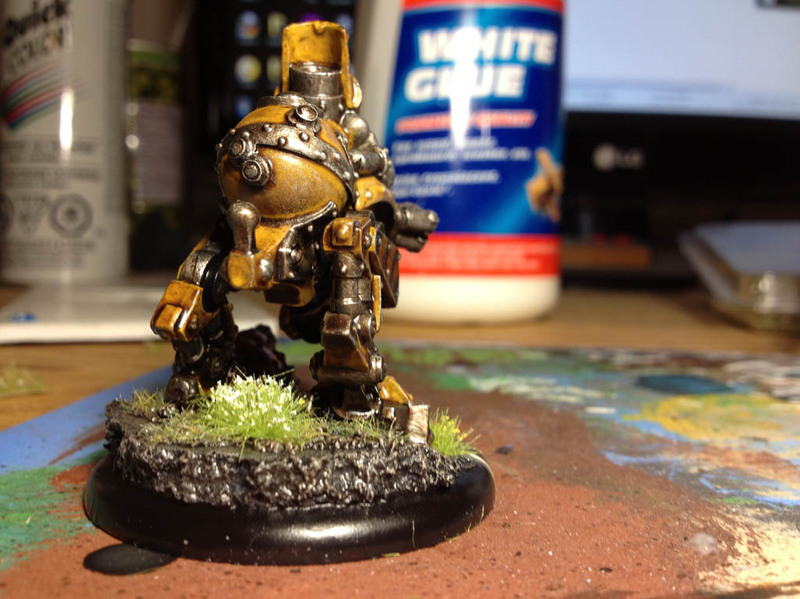 Another important thing to note is that I only work the paint when it is sufficiently wet. You should be able to notice the paint drying as you work with it if you continue to spread it too long it will go dry and chalky. 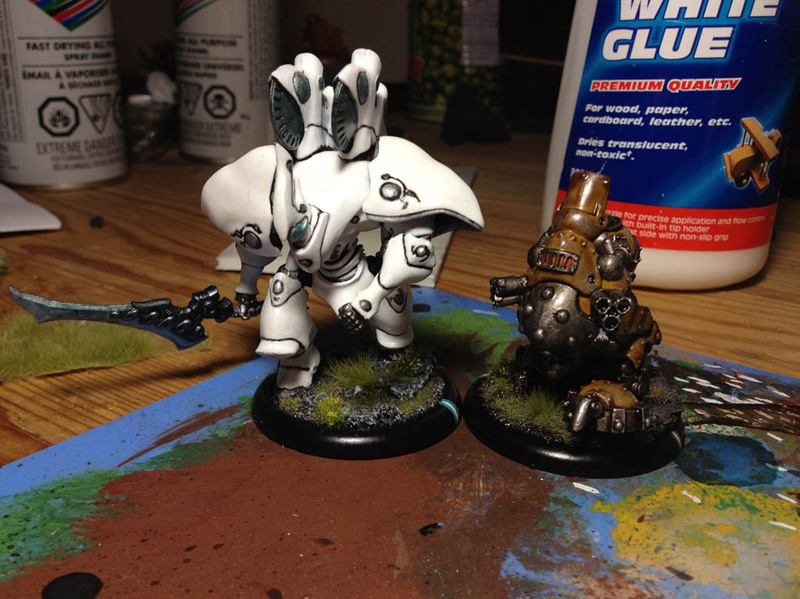 Here are some WIP pics after 1 or 2 initial coats. At this point you can afford to be a bit messy. It should look very patchy still after only a couple passes. 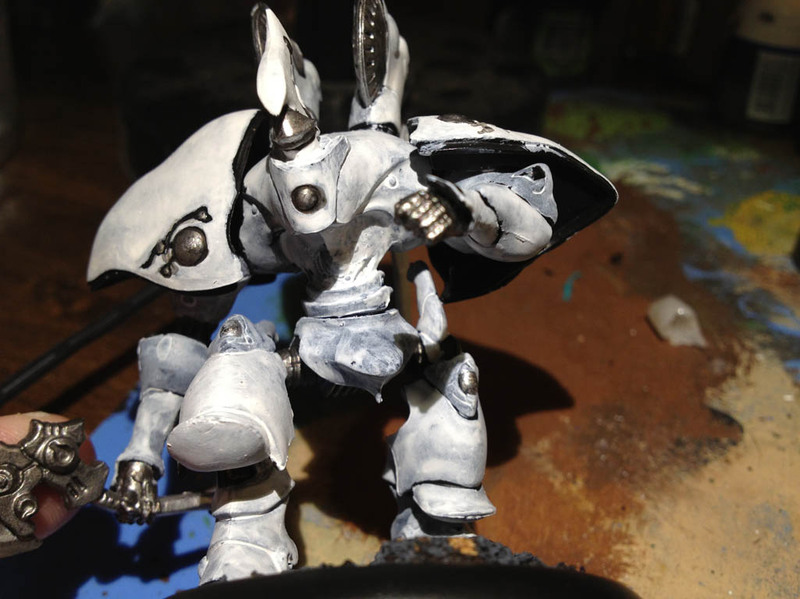 Between coats I also go back over the recessed lines in the armour with black wash to darken them. It is important on the last few coats to work carefully to make sure white paint does not spill into the cracks. So that’s all there is to it. I can’t believe much of this is a revelation to anybody but I hope it helps. 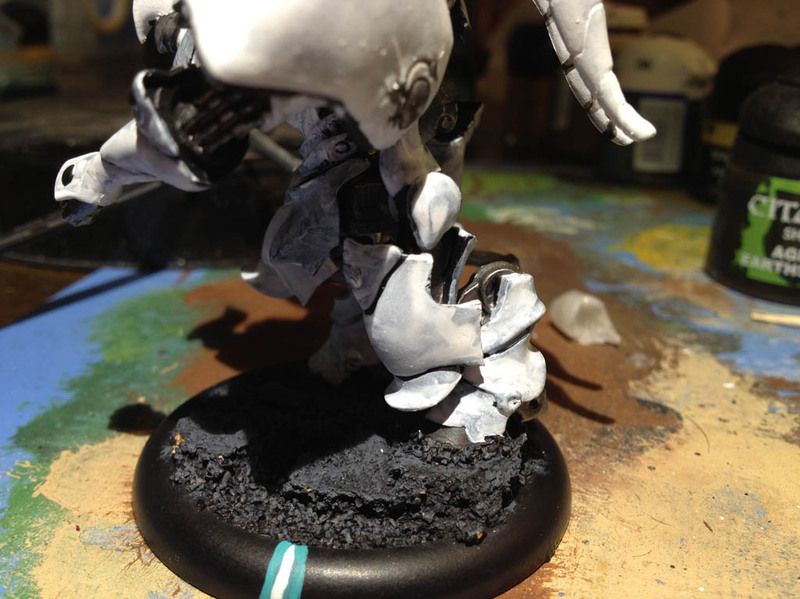 This entry was posted in Mercenaries, Painting Table, Retribution and tagged Basher, Hordes, models, painting, Phoenix, Searforge, WarMachine by Nick. Bookmark the permalink. You know what I hate, Nick? 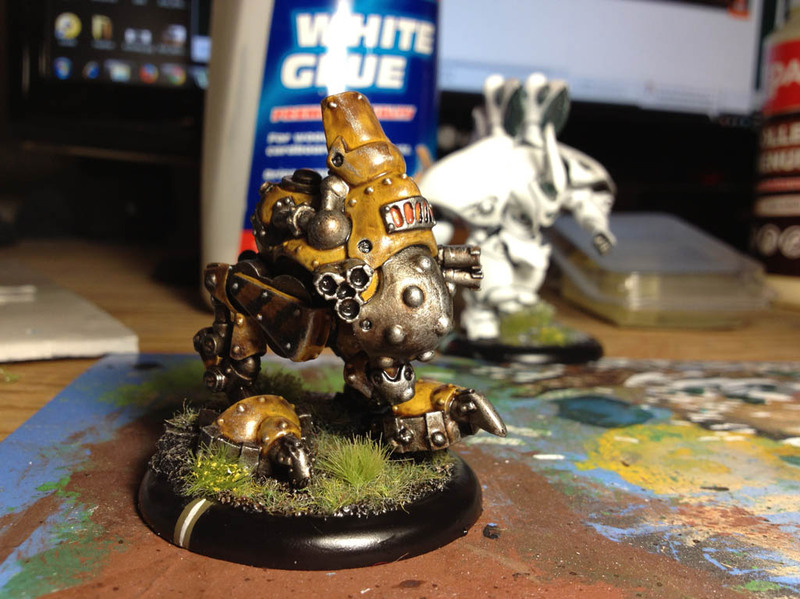 I hate posting pictures of my models and then immediately have you post your much better painted, better looking work! Curse you, MoFaux, curse you! That Phoenix looks stunning. The Basher looks impressive, but the Phoenix is almost a work of art. Damn impressive work, sir. I tip my hat to you! 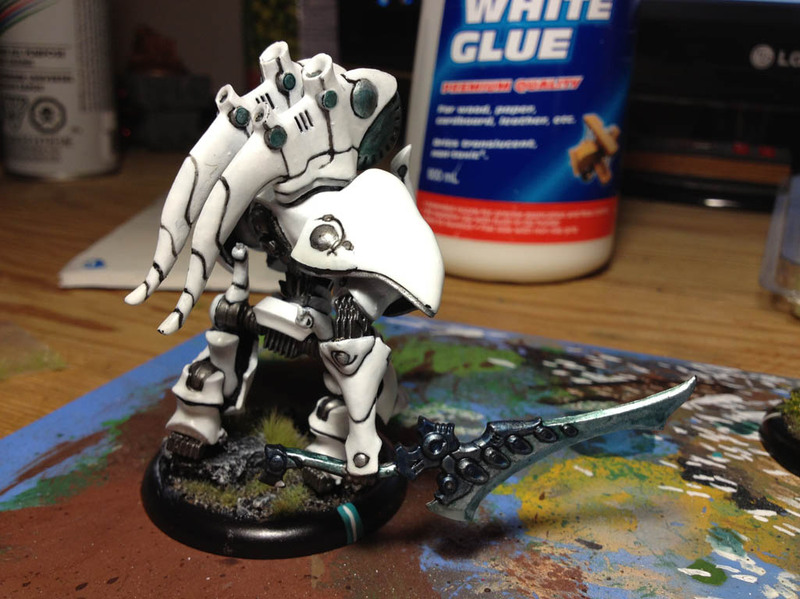 I did not have the patience to paint my Retribution all studio white. Looks really good and better on the field.